and remember special ties that bind ….as well as learn more about those that you love and care for in your life? How do you do this? Sit down with a few questions in a quiet comfy spot, have your recording tool in hand and get ready to do something very special…. listen and record. Listen with your heart, soul and eyes and you will create the most treasured gift this holiday season. To find out more about how to do this, and a project that has taken this on in a big way, visit Story Corp — an NPR program that is celebrating it’s 10 year anniversary. Thousands of people have sought out the Story Corp booth as it travels around the country to record their stories for a special archive of story telling that has become the largest recorded oral history ever. 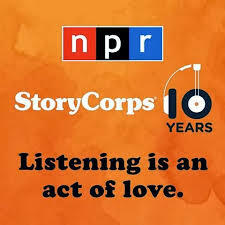 If you have not listened to STORY CORP on NPR, make a point to do so. I can promise you that you feel touched by these stories told by people like you and I — sharing personal stories of thanks with sincerity and humility and compassion. Some of my favorite stories include children talking with and listening to their elders. There is something magical about the little voices asking simple questions and the compassionate older voices sharing their stories so tenderly with their young interviewer. This Friday is the National Day of Listening. It is a special opportunity for you to sit down with someone that you care about and interview them. The recording will become part of the Story Corp archive. If you’re not ready to make this archival worthy….but you have always wanted to capture those special stories of your grandparents, aunts, uncles — or those you’ve been touched by, simply record it with your phone or other tech tool. I can assure you, this oral history will be treasured always. On this Thanksgiving, make a special point to listen and give thanks for those around you and the special ways they have made you who your are now and in the future. I am eternally grateful for those who have taught me to take the time to listen intensely and with my whole heart to those in my life. Remember, listening is an act of love. Wishing you all the best on this special holiday weekend. During the week ahead, many of us will be spending time with family and friends expressing thanks for food, health, relationships and much more. This is a holiday rich with individual family traditions as well as many community traditions that have their roots in history of the first harvest celebrated by the Pilgrims in 1621. A volunteer group of parents who serve as the governing PTC board to help manage donations to drive family events, support students in need, purchase essential learning tools for classrooms and the library and MUCH MORE. Support staff (recess supervisors, crossing guard, lunch supervisors and kitchen staff, classroom assistants) who make sure our children are safe, feed and can receive enhanced support for learning each day. Parents who volunteer daily in classrooms to assist with reading, writing, math and special projects. All parents who make sure that your children come to school ready to learn, assist with homework and projects after school and so much more. Thank you for working with us to raise your child educationally and socially. 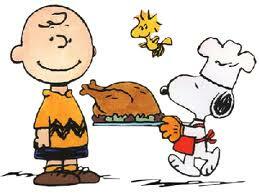 Wishing everyone a restful and happy Thanksgiving holiday! 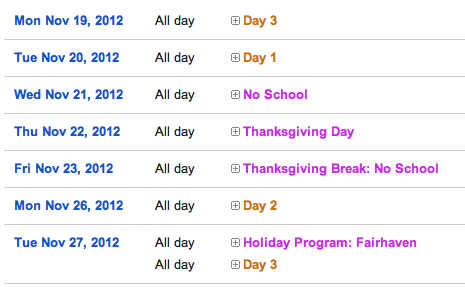 In preparation for the Thanksgiving Holiday, we will have just two days of school this week. When we return the following week, the PTC Holiday Gift Shop will be open and we will rehearsing/preparing for our all school holiday musical performance on Thursday, December 1 at Fair Haven Ministries. As we have mentioned in early blog posts, the performance will be divided into two performances: PK-2 from 6-6:30 and Grade 3-5 from 7:15-7:45 pm. Details about the arrival time for each group will go home next week via email, the blogs and paper copies. We want to make sure we reach parents with all communication tools to inform you about this event. 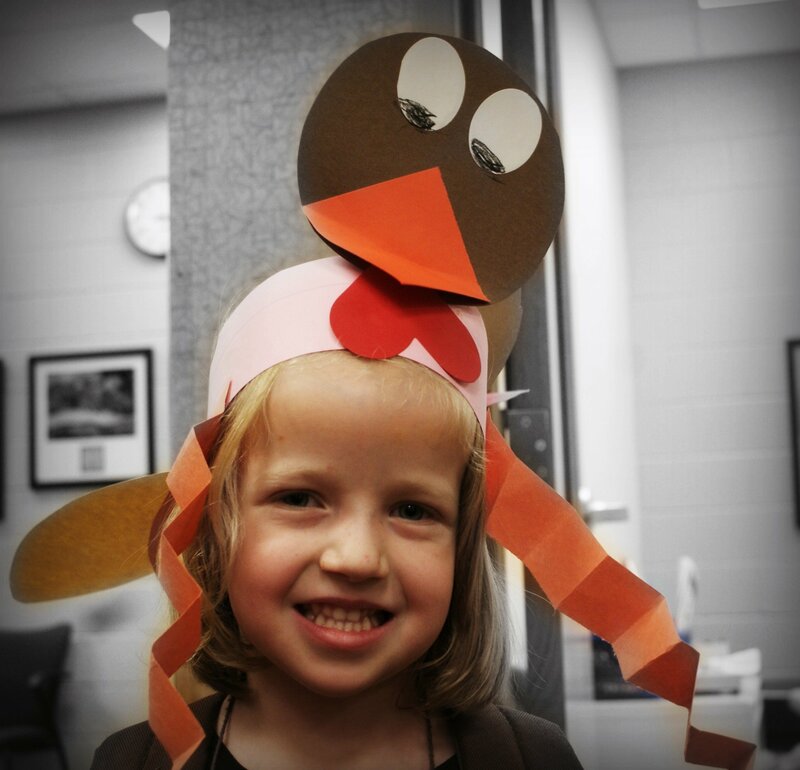 This past week, the pre-kindergarten and kindergarten classrooms held a celebration of Thanksgiving to share gifts, songs and friendship with one another. 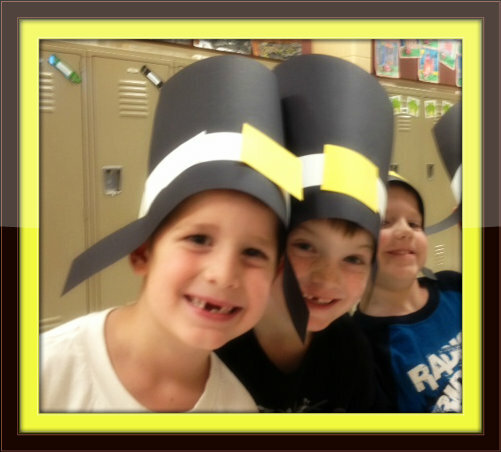 The children looked precious in their traditional pilgrim, turkey and feathered hats. As I watched them exchanged died macaroni necklaces, I was so thankful I found a moment to peak in on their feast and see the joy in their faces. 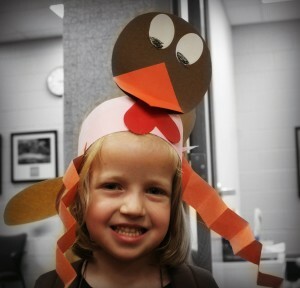 This smile on Kaylah’s face (along with her fabulous turkey hat) will be something I remember always! I have said this many times…and you’ll hear me say this again at the holiday program: Thank you for trusting your children to us each school day. It is an honor to learn about them–their learning interests, needs and who each one is as a unique, gifted person. Wishing you safe travels and memorable times during the Thanksgiving break. We will be in school for just two days this coming week due to the Thanksgiving Holiday. I had hoped to have a scavenger hunt before the holiday, but this one snuck up on me! 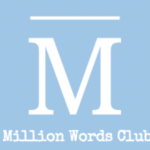 Some of the fun links I had plan to share when I kicked off the scavenger hunt are still worthy of posting for your reading (and voting) pleasure. If you are interested in finding out more about Thanksgiving, the History Channel website is full of resources. Of course, there is the History of Thanksgiving but also check out the Mayflower Reconstructed. Visit the TURKEY FACTS site to brush up on your turkey knowledge. My favorite fact: Wild turkey’s sleep in trees at night. 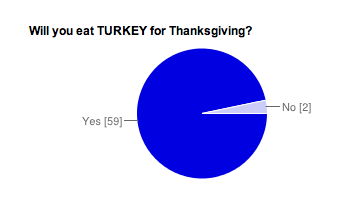 And, speaking of turkeys, take the poll below to let us know if you eat turkey for Thanksgiving dinner or not. I know one family that eats a traditional dinner of roasted duck and another of homemade pasta and sauce. 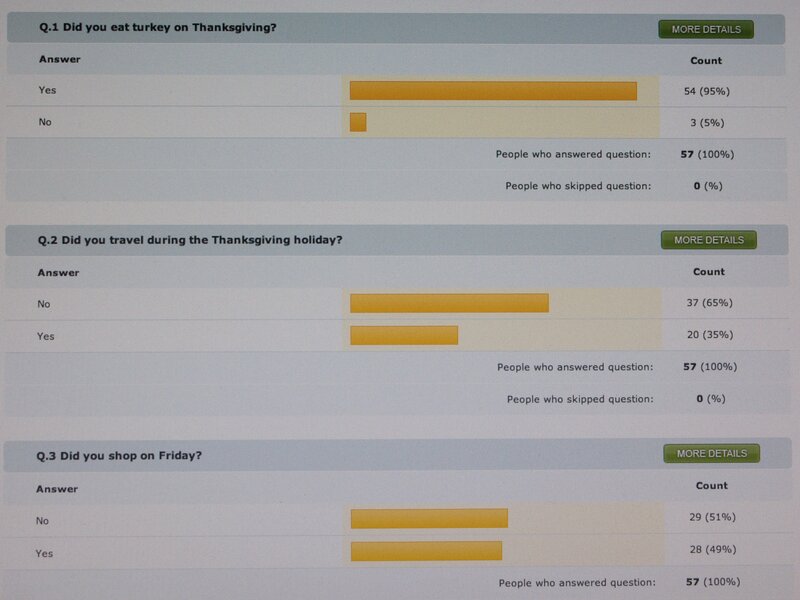 This poll doesn’t permit everyone to tell what they eat..but gives us an idea of who eats turkey ….or something else! Have a wonderful holiday with family and friends…be well! 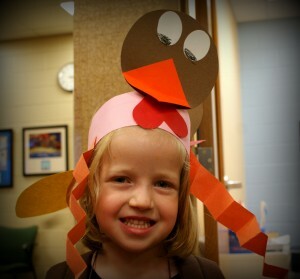 I received a very special invitation to take part in our PK and K Thanksgiving Feast this week. The classes came together to share all that they had learned about the holiday and to share traditional gifts, songs, stories and treats with one another. It was a wonderful time of fun! And, if you ask my opinion, there is nothing cuter in the world than a PK or K student in a construction paper pilgrim or Native American hat! Enjoy this video and have a wonderful Thanksgiving. Our newest feature…the Georgetown Survey! 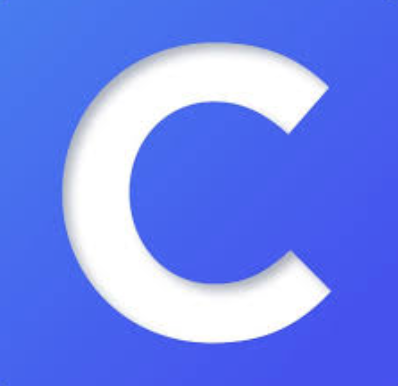 Please take a moment to answer our survey questions!